On the other side of the ball is the WISL Player of the Week for week one, Wenatchee’s Danny Romero. 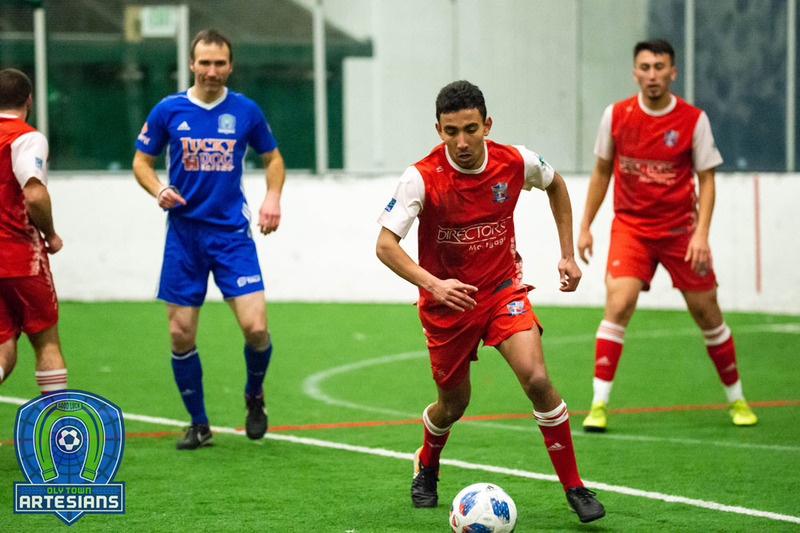 Romero allowed just two goals in the their 4-2 opening day win over the Arlington Aviators and currently sits tied for first place with a 4.0 goals against average through two games. 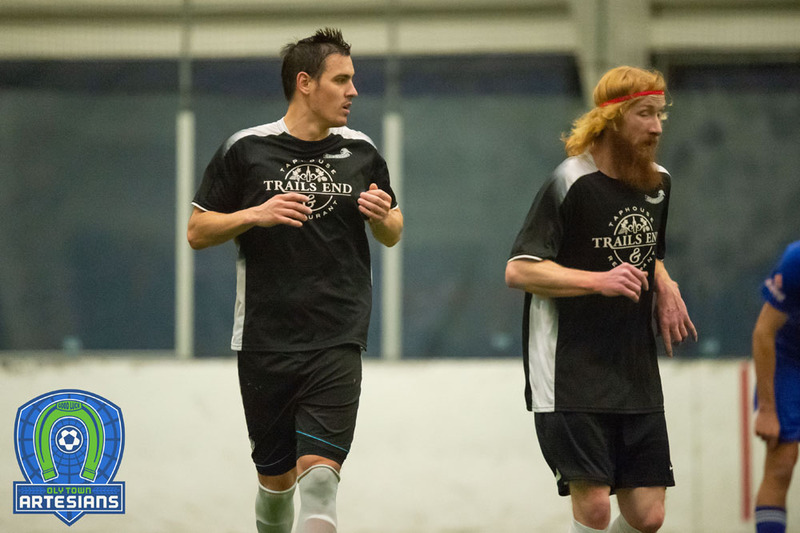 Seven players sit tied atop the WISL leader board with two goals scored and Saturday’s game features four of them. 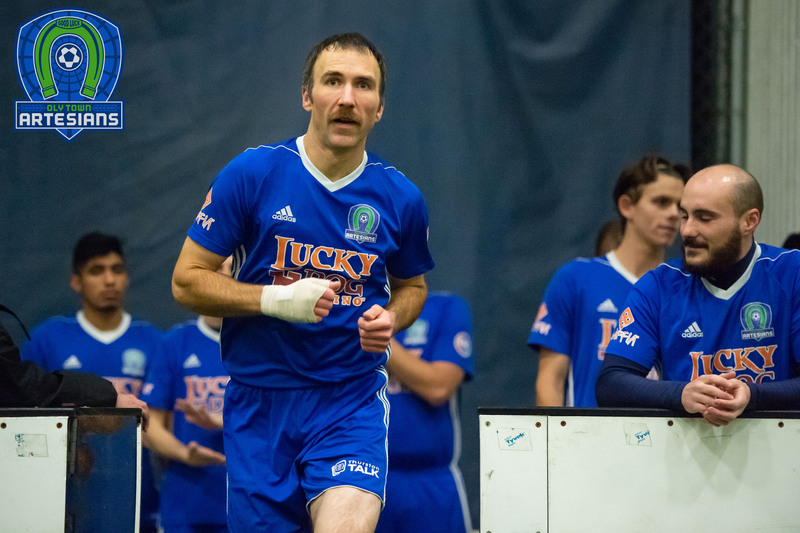 Spurr scored a pair of goals in his only game of the season while Juan Barboza, Jaime Richards and Yonaton Rodriguez have each scored a goal in the Wenatchee Fire’s two games. 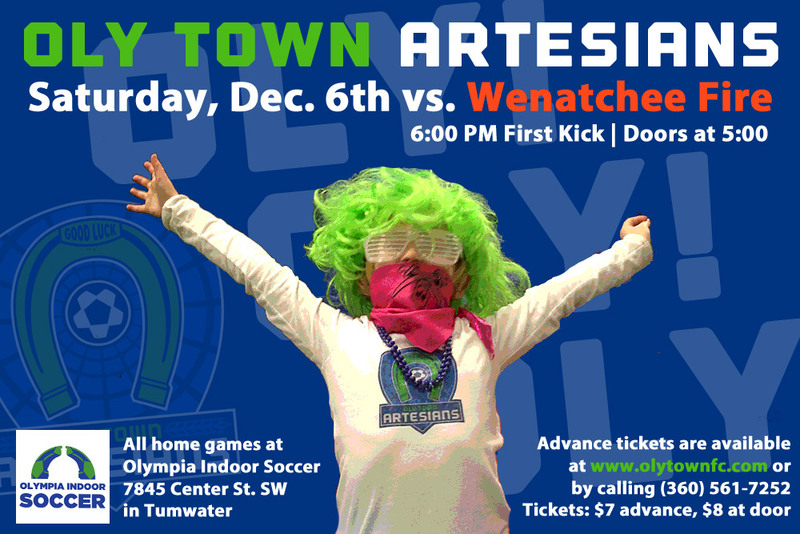 Advance tickets for Saturday night’s game are available at www.olytownfc.com or by calling (360) 561-7252. Tickets at the door are $8 for adults, $5 for children 5-12 years old and under five are free. 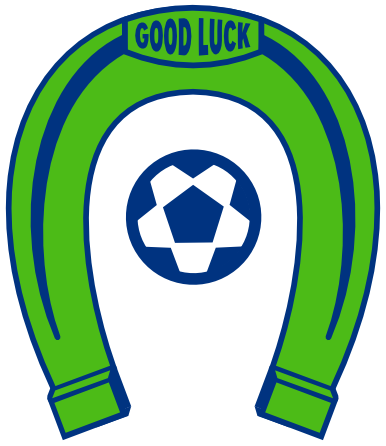 The doors at Olympia Indoor Soccer open at 5:00 PM with first kick scheduled for 6:00. There will be a beer garden for fans 21 and over, kids activities, games, prizes and more throughout the night. DIRECTIONS TO OLYMPIA INDOOR SOCCER FROM OLYMPIA: From I-5 South – Take exit 101, Tumwater Boulevard, and turn left on to Tumwater Boulevard. Turn right on to Center Street. Turn right on to 78th Avenue and left into the Olympia Indoor Soccer parking lot. From Capital Boulevard – Turn right on to Tumwater Boulevard. Turn left on to Center Street. Turn right on to 78th Avenue and left into the Olympia Indoor Soccer parking lot. The address for OIS is 7845 Center Street, Tumwater, WA. The facility is on the backside of the Capitol City Tennis and Athletic Club. Reblogged this on Oly Sports.